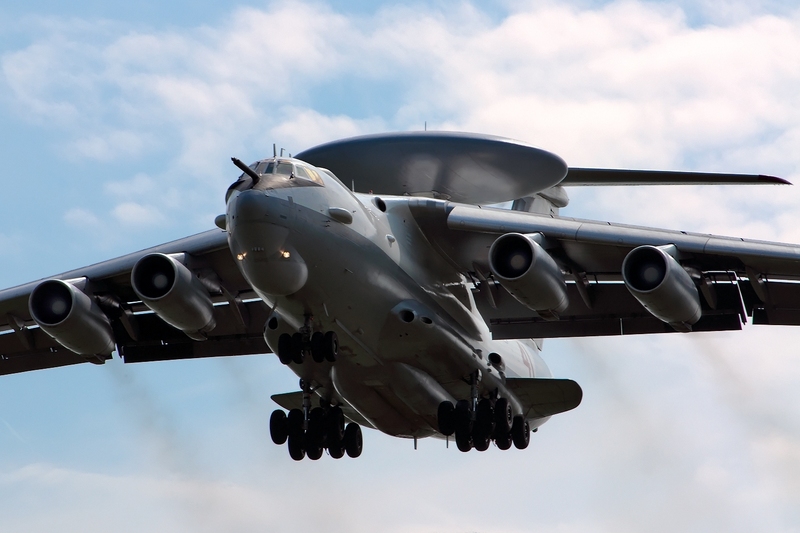 The Russian air force has recently deployed to Syria four of its most highly advanced early warning and control aircraft, the Beriev A-50 SRDLO (“Mainstay”), which is rated the most sophisticated AWACS in operation. Several A-50s were spotted flying over Syria in recent months, but they all turned around and headed back to Russia. Four are now installed in the hangars of the Russian Khmeimim Air Base in Syria’s Latakia province. The plane’s Shmei-M radar is capable of pinpointing targets across a distance of 600km. While in flight, it covers all parts of Israel and can detect every aerial and military movement. Moscow has deployed the A-50 in support of the unification of Russian and Syria air defense systems going forward in recent weeks. Henceforth, both their air defense systems will be controlled from a single command center at the Khmeimim air base, with the B-50 living up to its name as operational mainstay. The Russian and Syrian air defenses will no longer need to swap information in the event of a US or Israeli air or missile attack over Syria before coordinating their operations. All incoming information will be channeled to the Russian joint command, which will determine how to respond and manage any combat which may result. This development limits the freedom enjoyed hitherto by the US and Israeli air and naval forces over Syria and in the eastern Mediterranean and makes their operations far more hazardous. The Russian air defense commander in Syria now has at his fingertips a wide range of tools for several synchronized maneuvers. He can, for instance, issue a direct order to simultaneously launch three sophisticated weapons systems with deadly effect, such as the Pantsir-S1 tactical, mobile surface-to-air missiles posted outside Damascus, also called the SA-22 Greyhound; the S-400s, installed on the Dhahaer ram Ahmed hilltop northwest of Latakia; and the anti-ship P-800 Oniks-Yakhont cruise missiles which guard Syria’s coast. These days, America would find it hard to repeat the Tomahawk cruise missile attack President Donald Trump ordered on April 4 in reprisal for the Syrian army’s used of poison chemicals against civilians. That massive assault knocked out Syria’s Sharyat air base and a large part of its air force. Israel will likewise not have an easy ride for another air strike like the one conducted on May 17 against an Iranian arms shipment for Hizballah near Damascus. Then, Syria tried for the first time to down the Israeli bomber-fighters with anti-air fire. It failed, but only because Israel was forced to send an Arrow missile into its first operation to prevent Syrian missiles from hitting the returning warplanes over Israeli territory. In future, Israel will have to adjust its tactics to the powerfully enhanced Russian-Syrian defenses. The newly arrived A-50 also enables the Russian command in Syria to keep a controlling eye on the de-escalations zones gong up in Syria, including the one taking shape on Syria’s southwestern border opposite the Israeli Golan. All of Russia & Syria covered by Mossad’s radar.